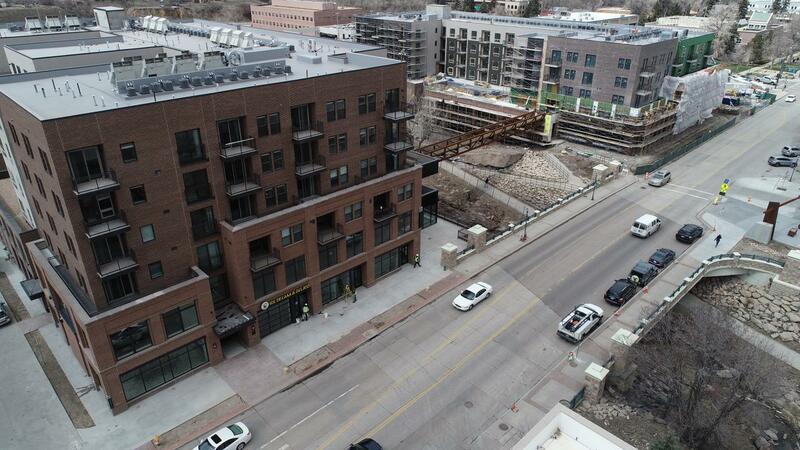 CASTLE ROCK – Riverwalk at Castle Rock, a $63 million mixed-use development, has welcomed its first residents, a restaurant, brewery and ice cream shop. 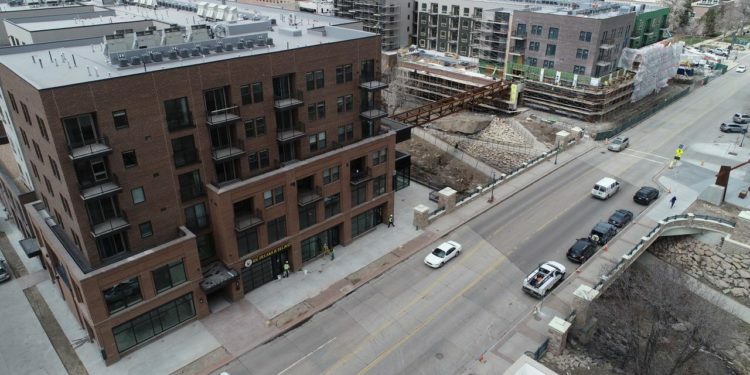 The catalytic project includes 230 residential units and 15,000 square feet of ground level retail and restaurant space, as well as 34,000 square feet of office space. The first retailers to announce their Riverwalk location include family-owned Glacier Ice Cream and Great Divide Brewery & Roadhouse. 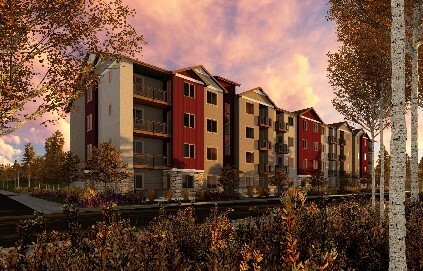 Craine Architecture is the architect for the project and Confluence Builders is the GC. Glacier Ice Cream is owned and operated by the Berberich family, a mom and pop and daughter shop that was established based on their love of ice cream. The flavorful ice creams is open now and includes premium, artesian brand products, featuring the freshest ingredients (including specially selected roasted pecans for their pralines and cream scoops). The Great Divide Brewery & Roadhouse is scheduled to open in October and will announce more of its plans at that time. The community can look to a voluminous 8,000-square-foot space with 16 beer taps featuring craft beers from Great Divide Brewery, a Colorado favorite. Patrons will also enjoy a full menu of memorable appetizers, entrees and desserts, all made to the highest Roadhouse Restaurant standards. Riverwalk borders Festival Park, which is the result of a $7 million investment by the town of Castle Rock, and helps to redefine the heart of downtown Castle Rock. 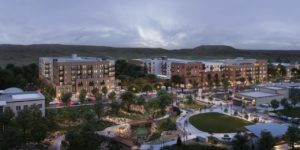 The development includes two blocks of downtown Castle Rock (bookending both sides of Sellars Gulch, along Wilcox Street), and consists of a mix of retail, office, and residential uses. Parking is provided one level below each building and at the street level, parked behind the retail sections. Where’s the river? Isn’t it just Plum Creek?